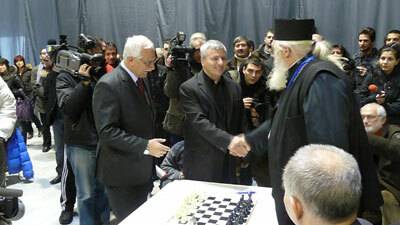 Kiril Georgiev chess record in Sofia! 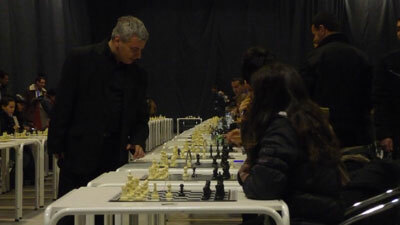 GM Kiril Georgiev has achieved a chess record in Sofia by playing against 360 players this Saturday. 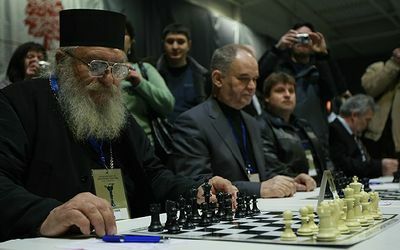 The event took place in the Expo Center in the Bulgarian capital, where a labyrinth of chess sets and tables was build for the event. 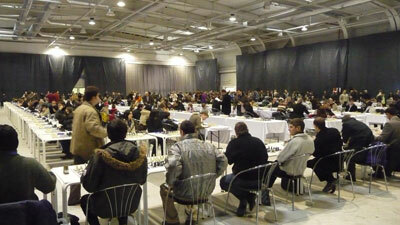 Over 1000 spectators passed through the playing hall and the match was carefully followed by BBC and the Russian TV. 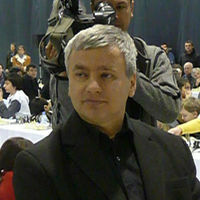 GM Georgiev won more than 80% of the games which entitles him as the new official world record holder. Spectacular performance by the Bulgarian GM with about 20 km walking distance! 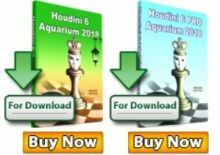 Chessdom.com has been following closely the performance of GM Georgiev since 2007 and congratulates him for the fantastic effort in the chess simul! 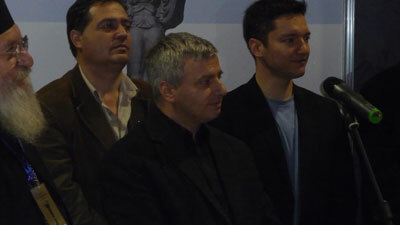 Our correspondent Georgi Nikolov reported in detail and Lyudmil Stavrev from ChessFish.com provided multiple photos from the events for Chessdom.com. 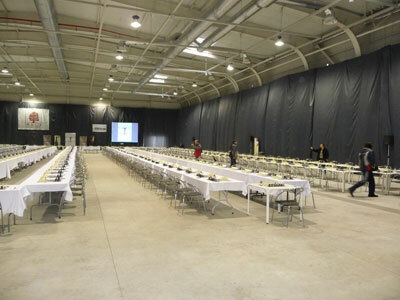 Playing hall: Expo Center, 1800 square meters, lengthof tables 400 meters. 360 players and as many chess enthusiasts were present in the Expo Center before the start of the simul, the Chessdom.com journalists reported. On table 1 the organizers have placed a priest for godspeed (see photos below). GM Georgiev started taking the opponents one after the other and after the first hour he had a perfect score of over 50 games won. The first draw came as a courtesy to the priest on table 1, again for luck or simply as a superstition, GM Georgiev offered to share the point. 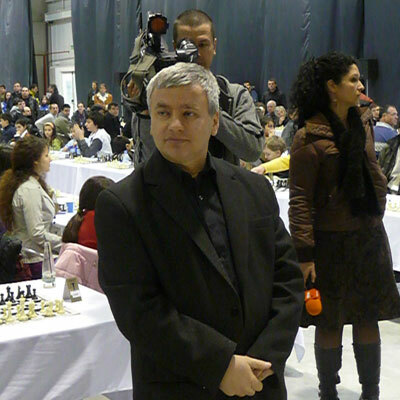 The major weapon of Kiril Georgiev were the gambits and tricky sacrifices, expecting many players to be surprised in the opening and to reach fast a winning position. However, that task was not easy as there were many players 2000+ who put up a solid fight choosing top lines. With every move Georgiev was looking more tired, but still concentrated in the games. 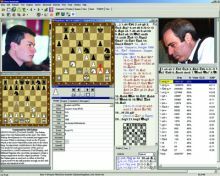 It was critical to win more games faster, as by the rules of the attempt the tables that finish are removed and the active ones are brought together, thus shortening the walking distance. 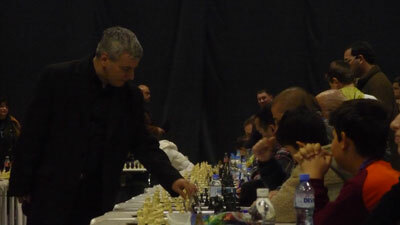 Kiril Georgiev reached move 19 after 10 hours of play. This was enough to make more than half of the players be in losing positions, however, at the same time there were 19 people with half a point as well. 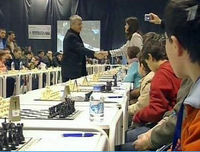 The remaining games were important, as for the record to be valid 80% of the games had to be won by the Bulgarian GM. At move 24 there were 50 tables left. Most of them were balanced games and Kiril Georgiev opted for positional play. 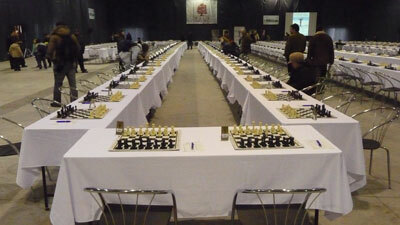 This increased the time of each game, but also was good strategy for increasing the score of the simul. Surprisingly for all, Kiril Georgiev declined several of the time outs after this and refused to stop to the very end. The last game finished after 14 hours and 14 minutes and the numerous audience that stayed in the Expo Center until the last moment celebrated with Champagne the great performance of Kiril Georgiev. 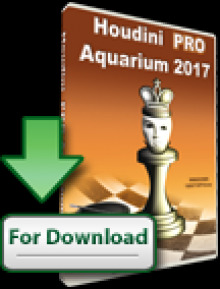 The organizers of the event do not officially announce the result of the simul, althought they confirm Kiril Georgiev has won more than 80% of the games and has completed all the necessary conditions. The official score will be announced on Monday at 10:00 CET at the Expo Center. The organizers have already sent the documents to the Guiness central last night. The result will be announced at the official site. So is the record a fact? Although Kiril Georgiev seems to have achieved the record by completing all the requirements there is one more detail the record to be a fact. It has to be approved by the Guiness central after a careful analysis of all the details. We will keep you updated on the latest news around the record attempt. Until then, congratulations to Kiril Georgiev for his fantastic performance from the Chessdom.com team! It is interesting to note the high media interest from abroad. BBC was constantly on the phone trying to contact people connected with the record attempt. The Russian TV1 sent a teamto Sofia and a video is available on their site. Stay tuned with Chessdom.com for more updates! And let the World record simul begin! Specal thanks to our reporters Georgi Nikolov and the friends from Chessfish Lyudmil Stavrev, Dragomir Stavrev, and Jordan Jordanov. Stay tuned for many more photos, video, and information on Chessdom.com!